What is the relationship between Ego and Consciousness? What is the relationship between the Mind and the World-System? How did we create the Mind/Consciousness within the relationships of negativity, neutrality and positivity? Why have human-beings not in fact ever changed – but only evolved as the Mind and evolved as the World-System, but there is not ‘evolution’ within the nature of human-beings to co-exist on this Earth in/as equality and oneness? All these points and more will be walked within the self-forgiveness process from this post onwards, as we walk-through the Design of the Human as the Mind/Consciousness/Energy, and the creation that we as this Design created as the World-System of Money without. And to consider that, we’re walking this process multi-dimensionally, which means – each post covers one dimension, but is interconnected into/as multi-dimensions in our process of walking the point of “who I am” and how this “I” created/manifested this entire physical existence. Thus, suggested – to read this Blog from DAY 1, as many of the points in previous dimensions/DAYS are always brought-through into the next days/dimensions as all the dimensions interconnect as the mutli-dimensionality we’ve created/manifested as our separation from/of Life/equality and Oneness. Within this post, we’re continuing from the previous post Dethroning God, starting to have a look at the nature of the Human/Mind/Consciousness that we’ve accepted and allowed ourselves to be/become as: Competition. Where exactly competition originated from within our very beingness throughout time, and the consequences our beingness natures of/as competition has manifested in the creation of ourselves as the Mind/Consciousness as Energy-manifest, and the creation of ourselves as this World-System of Money-manifest. I forgive myself that I have accepted and allowed myself to, in my self-experience of/as the MORE of/as me within and as my singularity as manifested-separation from the whole – not see/realise/understand that for me to experience this MORE of/as me as positive-energy, my neutral energy experience of/as ‘only me’ has to accumulate from the negative-energy generation that I charge through/as my constant/continuous separation as friction from/of the whole as me as substance of/as equality and oneness. In this, I forgive myself that I have accepted and allowed myself to in this MORE positive-energy experience of/as me, I experienced me as MORE within myself and to/towards all within/as existence – making me MORE and everything/everyone else LESS – manifesting myself within myself as the polarity of/as MORE and LESS. In this, I forgive myself that I have accepted and allowed myself to create/manifest a World-System in my image and likeness, where the very World-System stand as the MORE within and as this physical existence, and all and everything and everyone else within this Physical-Existence has been manifested as the LESS within the relationship between the physical existence and the World-System, equal-to and one-with my origins as I manifested myself as the MORE within myself and substance/existence as equality and oneness manifest: the LESS. I forgive myself that I have accepted and allowed myself to become possessed within this MORENESS of/as only me, within myself – exalting myself into/as my own Godhood status within my singularity to/towards the whole as me, and in this Godhood status: only becoming a creator of me, myself and I within myself that I have done and become through manifesting myself into and as Ego as Judge that create myself through judging all of existence as me within relationship-experiences of negativity, neutrality and positivity within myself. In this, I forgive myself that I have accepted and allowed myself to create the World-System of Money in/as my image and likeness, where the World-System itself had become a manifested singularity within its relationship towards the whole as this physical-existence. Exalted into/as its own Godhood status as a creator unto itself only, that utilize/use/abuse it’s relationships to/towards all of existence – Judging those relationships within the natures of/as negativity, neutrality and positivity based on the extent/amount of resources it can take/hoard/gather/extract from/of this physical existence to transform into Money for its own self-creation/survival process/existence. I forgive myself that I haven’t accepted and allowed myself to see/realise/understand I had accepted and allowed myself to become my own possession. Possession – where I possess only myself as Energy, that I self-create into and as my singularity through/as my constant/continuous friction as separation-relationship to/towards all as me as the whole; from that friction generating negative, neutral and positive energy-experiences that I had used/abused to separate me within myself into layers of definitions and values as negative, neutral and positive. In this self-creation process of me with and as Energy, where I had within myself created me as Ego/IGod as relationships/layers of negativity, neutrality and positivity: I in my own self-exalted Godhood/Judge status ruled myself and my internal creation processes with Energy as: MINE. That whatever I create within me as myself with Energy is ME and because this is ME: I Possess me, I Own me – I am my own ownership/possession unto me, myself and I. Not realising/seeing/understanding that this ME that I possess/own consist-of and exist-as Energy, that I literally MINE substance for Energy to be/become MINE as I mine the Energy through the processes of extracting/taking and transforming substance of/as equality and oneness into/as Energy for me to own/possess it as-myself in my processes of self-creation as Energy-manifest, individualizing myself as a singularity into/as Ego/IGod. In this, I forgive myself that I have accepted and allowed myself to create the World-System in my image and likeness, where Money is its Possession that it, and only it Owns. And within its Godhood/Judge status over and of all within this physical-existence, that judge it’s relationships to/towards all within this physical existence within the natures of negativity, neutrality and positivity based-on the extent/amount of resources it can extract/get/take: has ruled itself and its creation-processes of taking from the physical and transforming it into Money as: MINE. Where the World-System of Money possesses all Money, owns all Money within its design of: I am Money, therefore – Money is Me: I possess me, I own me – therefore Money is MINE. Not seeing/realising/understanding how the World-System of Money, literally MINE the physical-existence, and individuals lives to transform it into Money for itself, for its own possession/ownership and self-creation process of/as evolution as the entire World-System for its own Survival/continued existence as Money. that within this accepted and allowed division of me within myself as my ownership/possession of/as Energy as me, I accepted and allowed myself to become obsessed with me experiencing MORE of/as me as Positivity only. That I, in/as my moment of/as accepted and allowed separation from/of all as me as the whole/existence/substance in fact limited/diminished me into / as the LESSER in my relationship to the MORE that was in fact the whole as existence as me. From that LESSER, as the negativity experience I went into an Equality of experiencing only me as ‘neutral’. That Equality/Neutrality being my connection to/as substance as me, because in that neutrality/equality I was experiencing ‘me as part of substance/existence in/as my separated singularity’ – but that equality was no more a oneness with/as all as me within existence, because I was manifested in/as the separation of me as a singularity from the whole, and so – separated me from the Oneness with/as all as me within existence. But still within that Neutrality experience - I was ‘Equal’ with substance, because I had emerged from/of substance as me manifested into a singularity from the whole. And, in this – I forgive myself that I have accepted and allowed myself to compensate for the polarity I accepted and allowed myself to manifest myself into/as, as the singularity from the whole – where I was in fact the LESSER in my relationship to the MORE of/as all of existence as substance of/as equality and oneness: I transformed myself from the Lesser as the negative, to Equality as the neutral, to the MORE as the positive. I forgive myself that I have accepted and allowed myself to Not see/realise/understand that this ‘Equality’ was only within the context of my own self-equality as my origin/substance, that it was not an Equality where I as myself within myself as ‘who I am’ within/as my singularity was in fact Equal to/as all within existence, actually standing within myself as equal to/with all within/as ‘who I am’. The equality was only in relation to my origins, my substance that in my substance within/as my singularity - I was of/as the equal substance of/as existence. But who “I” am / have created myself into within myself was not standing within/as Equality with/as all, because that “I” had been divided into/as relationship-experiences of negativity, neutrality and positivity that does not exist within/as this manifested-substance of/as equality and oneness. In this, I forgive myself that I haven’t accepted and allowed myself to see/realise/understand how I have taken the equality and oneness of/as all as existence as me as substance-manifest, and limited/diminished me into an Equality that only remained within the context of my origins/substance, but my equality as ‘who “I” am’ – that was supposed to be/have remained standing equal with/as all as me, where all exist within me, as me in equality: has been replaced by energy-experiences of/as negativity, neutrality and positivity that had divided my ‘who “I” am’ from standing Equal with and as all of existence as me within and as myself. In this, I forgive myself that I haven’t accepted and allowed myself to see/realise/understand how I have accepted and allowed myself to separate me from my Oneness with/as existence as a whole, the moment I separated me into and as singularity from the whole, that that very manifested-division eternally divided me from/of all as me. And as long as I experience me as Energy: I am still a singularity from the whole, and in no way One With all as me within and as existence, because for me to experience Energy – I must be separate, a singularity from the whole that generate energy through the very friction as manifested-separation from/of all as me within and as existence. My physical-human body is equal to and one with the singularity manifestation as me from/of the whole, where the singularity from the whole/substance, is equal-to and one-with the physical-body from this existence/physicality as substance-manifest. That my neutral experience within my singularity as the equality with/as my origins as substance – is the experience with/as my human physical body as my origins from/of physicality. Where – with me experiencing myself with/as my human physical body, is the equality-connection to/as my origins as physicality/this physical existence as substance-manifest. But this Equality/Neutrality does not make ‘who “I” am’ within/as myself equal with/as all of/as this physical existence, because I am not in fact within ‘who “I” am’ within myself – standing equal with/as all as me within/as this physical existence. This Equality/Neutrality is me only connecting-to/experiencing my origins/equal-origins as physicality/ that has become substance-manifest. That, because of my accepted and allowed self-separation into and as Mind/Mind Consciousness System – I am no more One within/as this physical existence as substance-manifest, as the extent of my separation from/of the whole as me into/as an internal manifested-Illusion as Mind/Energy and manifested singularity has come to an actual internal-separation and physical-separation from/of this physical existence. Where I exist in separation from a Mind, from my own physical-body and from this entire physical-existence as me. And furthermore from this internal (Mind) external (Physical-Body) and existential (Physical-Existence) separation, I accepted and allowed myself to manifest me into/as a Mind from the negative-experience of/as friction, where the very Nature of my Mind’s origin is within and as the starting-point of/as Negativity as friction, as my entire Mind Consciousness System had been created/programmed by/through me from the Negative Energy as friction as my separation from/of all as me, to Neutrality and Positivity for me to experience my MORE of/as me, as the Mind has become my automated energy-creation machine through relationships of negativity, neutrality and positivity. And, that – as long as I have a Mind, as long as I exist as Energy – separate from physicality as substance-manifest, separated from my own human physical body, from my creation as this physical existence: I can’t be ONE and EQUAL with and as all as me within myself and my living. We’ll continue with this in the next post, in the context of how – from accepting and allowing ourselves to separate ourselves from our equality and oneness as substance, that has become this physical-existence manifest: we transformed ourselves from living equality and oneness, to engaging in competition. I commit myself to – through writing, self-forgiveness and self-corrective application, assist and support myself to re-align my equality and oneness from: Only existing as an equality-connection and absolute separation from my oneness with/as all as existence as me in my existence as a Mind/Mind Consciousness System separate from my physical-body and this physical-existence - through standing as equality and oneness as ‘who “I” am’ with/as all as me. Which I commit myself to do through my process of writing, self-forgiveness and self-corrective application, in transforming my “I”/Mind as Energies divided into relationships of negativity, neutrality and positivity that had become my self-separation and separation from/of all as me – and transform me into/as a standing of/as equality and oneness with/as all that I live, here through, with and as my physical. I commit myself to – through writing, self-forgiveness and self-corrective application, assist and support myself to see/realise/understand how I have accepted and allowed myself to create/programme my “I” as ‘who “I” am’ as the Mind/Consciousness through relationships of negativity, neutrality and positivity throughout my lifetime. So, that, as I walk my life, my creation-process of/as me as manifested-separation from/of the equality and oneness of/as me as all of existence: I at the same time, through writing, self-forgiveness and self-corrective application – align myself within myself from my Mind/Energy/I as separation, into self equality and oneness with me, my human physical body and from here walk my equality and oneness re-alignment with/as all of existence as me. Because I see/realise/understand that I have separated me within myself as the singularity – into the Mind, from the physical-body and from this physical-existence. That I have to firstre-align myself within myself from the layers of separation as the negative, neutral and positive relationships that had become my entire Mind manifest, stand equal and one with myself, within myself – by taking all the separated parts of me as what my Mind consist of and exist as, realign them to self equality and oneness. 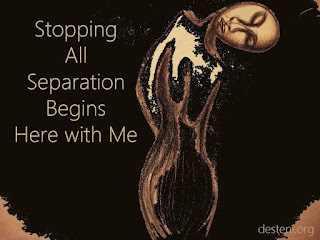 In this process – with walking as Breath: simultaneously aligning my self equality and oneness with/as my human physical body, to walk/live/express here with my physical-body in/as breath. And when I as the singularity within myself is equal and one with myself and the physical-body: I start walking my process from this singularity to be/become part of and stand as and with the whole as me as this physical-existence in/as equality and oneness. I commit myself to start with me, taking self-responsibility for me in stopping my accepted and allowed self-separation within myself, as I within myself in this manifested-separation of layers of relationships of negativity, neutrality and positivity that had become the Mind-manifest: had created/manifested this entire physical-existence and world-system in and as my image and likeness. And I can only change/transform what is here – if I change/transform me, so that I can create/manifest an image and likeness of/as equality and oneness as what I as all was supposed to have been and created, to in creating/manifesting in my image and likeness of/as equality and oneness: Birth Life. But I can only create/manifest equality and oneness, if I in fact as starting-point, source/origin become equal and one, and I can only become equal and one with/as all as me – if I stop separation as the Mind/Consciousness/Energy manifest that I had accepted and allowed myself to be/become. So, the process starts with me – establishing my self-equality and oneness with myself and my physical body, to from here as this starting point of equality and oneness with me/my physical body, be the living example of equality and oneness for/as all, so that more come together and stand together so that we can together, as our standing in/as equality and oneness – create/manifest and align this World-System into/asEquality and Oneness as our image and likeness, and gift all – equally as one, the opportunity of Life, as we have gifted it to ourselves through our process of stopping separation and aligning ourselves into and as equality and oneness here. Absolutely clear and precise points to differentiate our mind, body and physical existence, what birthing life means, what equality implies - definitely some vital basics about our existence and process here.